The following is for Lordshill Road Runners. As many regular readers of my blog will know, for the last 6 months or so, I’ve been holding a coached session for Lordshill Road Runners members on a Saturday morning from 7:30am until 8:30am. I’m currently a few weeks into an 8-week block of sessions that will finish at the end of October and am seeking participants for the next block starting in November 2016. I thought I’d use my blog to try to entice you to considering joining these sessions. as well as get you fitter and stronger. The sessions are fun, free and are for Lordshill Road Runners only. I’m sure you’ll be concerned that a session before parkrun will impact your ability to PB. Evidence shows this isn’t the case with many of the participants of previous groups smashing their parkrun PBs. If you’re interested in joining the current or a future block of these sessions, please let me know. Having briefly re-found my running mojo, life has gotten in the way and I’ve not had the time to do much. One September arrives, I’ll try to get back into it but for now my involvement with running includes coaching, organising the Lordshill Mile this month and marshalling at last night’s LRR hosted RR10. The summer has arrived and I’ve got 4 weekends of family activities which means that parkrun and my Saturday morning S&C sessions take a back seat. I’m certainly going to miss the latter.Fortunately, my Tuesday evening S&C sessions are unaffected and I’m really enjoying delivering these. 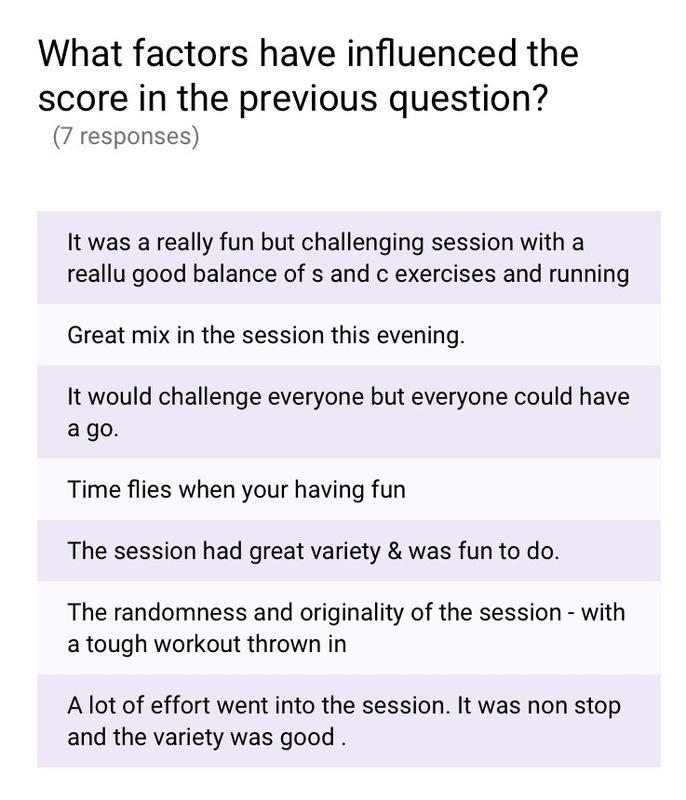 I spend a fair amount of time on session design (primarily how the session is structured and the exercises to include) and use the feedback from previous sessions to help improve future sessions. Of the 9 sessions to date, there’s been a fair amount of variety in each session in terms of structure but, before too long, there’ll have to be a point where I have a set of structures and then vary the exercises. I’d actually created 4 different sessions based on playing cards and used one session at the Saturday group which received good feedback. That left 3 other potential sessions and I was unsure which one to use. A couple of the sessions involved some floor-based exercises and following a fair amount of rain, I was concerned that participants wouldn’t welcome getting down on damp grass. However, to add a fun element and given the weather had improved, I decided at 4pm to allow one of the participants to blind m-choose the session and put the different session cards into separate envelopes to make the choice as random as possible (even I didn’t know which session plan was in each envelope) ready for the session. As the sessions included a run, I also put the possible run times of 30 seconds, 45 seconds and 60 seconds into separate envelopes. Finally, as the session would use playing cards, a 3rd participant would shuffle the cards. There really wasn’t much more randomness I could introduce. 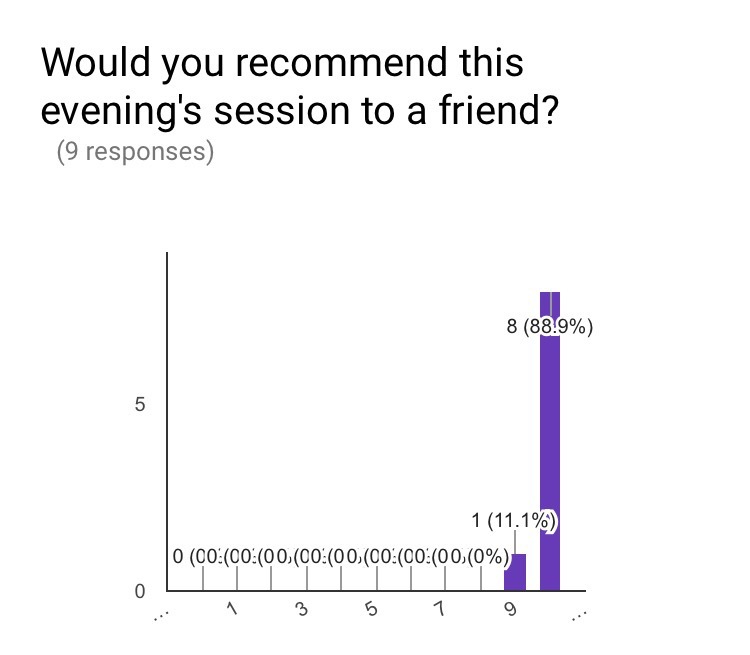 Getting members of the group involved in this way gave some good opportunities for banter during the session and that made the session fun too. Having packed all the envelopes, the oversized playing cards and my assorted collection of cones, I cycled the 4 miles to the Common hoping that the earlier bad weather wouldn’t put everyone off coming. Cycling to the session has its challenges. The biggest (aside from cycling up Burgess Road)being how much equipment I can carry. I have used resistance bands, skipping ropes, medicine balls etc in other sessions but do like the sessions where there’s no equipment at all. On arrival at the area that I was holding the session, I was pleased to see that the ground was mostly dry which meant that floor exercises wouldn’t cause too much discomfort. There was a little drizzle shortly after I set out the run loop but that didn’t last for long. I was relieved once the group members started turning up and about 10 took part in the session. Again, great feedback and a tough act to follow. Note that the above is a representation of the possible exercises and not the final set. It always amazes me what I end up doing. I’d never have thought a couple of years ago that I’d be holding these kind of sessions or that I’d be fairly good at delivering them. 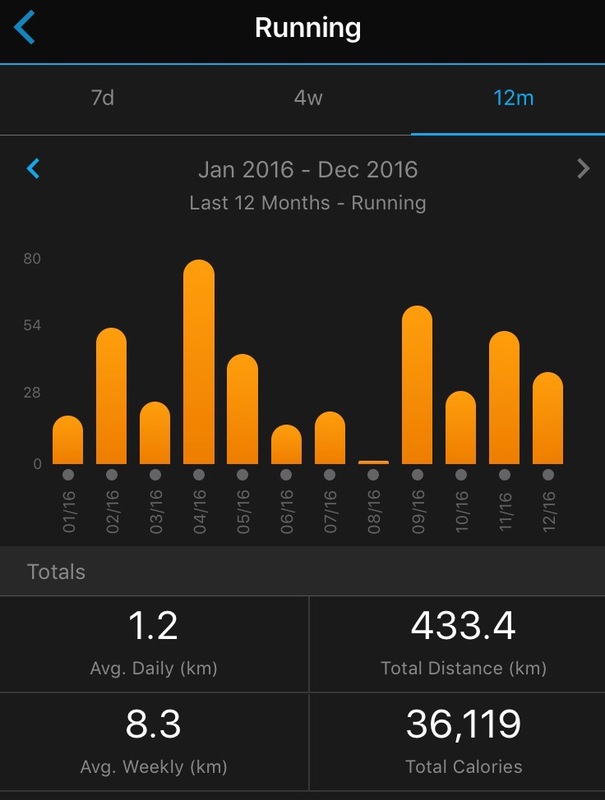 Over the last 6 or more months I’ve hardly run and was beginning to wonder whether I’d ever get back into it. I’ve started slowly with a 20 minute run on Tuesday and a 25 minute run on Thursday. The latter was a ramp session to spice things up a little. I finished that session feeling that I’d achieved something but have a long way to go before I can comfortably run 10K or finish a parkrun in under 25 minutes. On the subject of parkrun, as I mentioned earlier, my love of parkrun has waned this year. I had been volunteering regularly and running irregularly but decided that I needed to stop volunteering quite so often (250+ times in 6 years could be considered excessive I guess). As well as stepping back as a Run Director of Southampton junior parkrun for the summer, I’d not been running at parkruns due to my Saturday morning coaching sessions and the other reasons mentioned above. However, this Saturday, I think I may have a bimble around Southampton Common. We’ll see! That brings me into coaching. I’m still loving it. Lots. Almost 20 Saturday morning coached sessions and 6 Tuesday S&C sessions under my belt. The only real challenge I’m facing is self-inflicted and that’s trying to provide some variety between sessions. 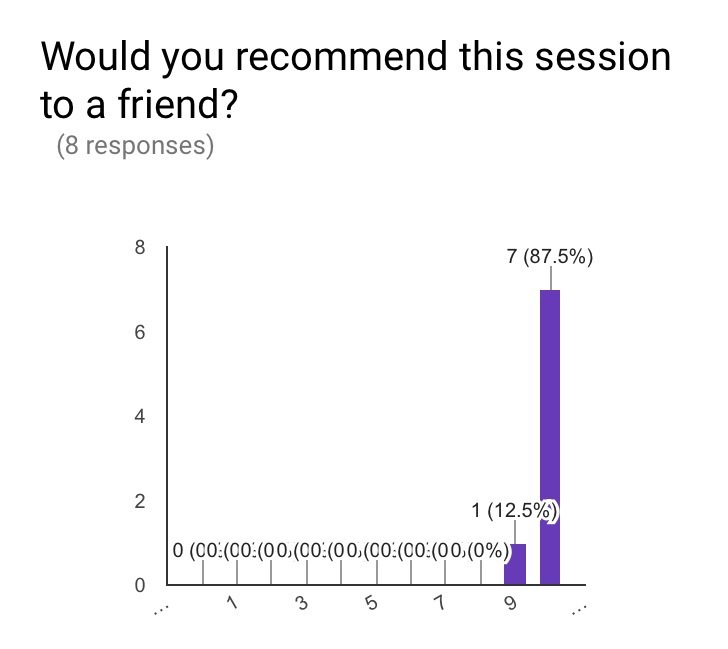 Given the feedback I’m getting for both sessions is still overwhelmingly positive, I’m going to worry less about dramatic changes in variety. It’s difficult to not think I must be doing something right based on the feedback above. 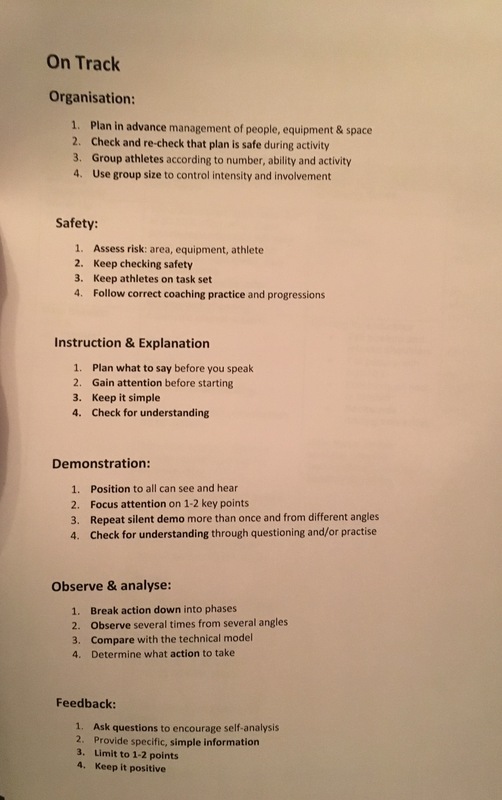 As well as the coached sessions, my individual coaching is going well. 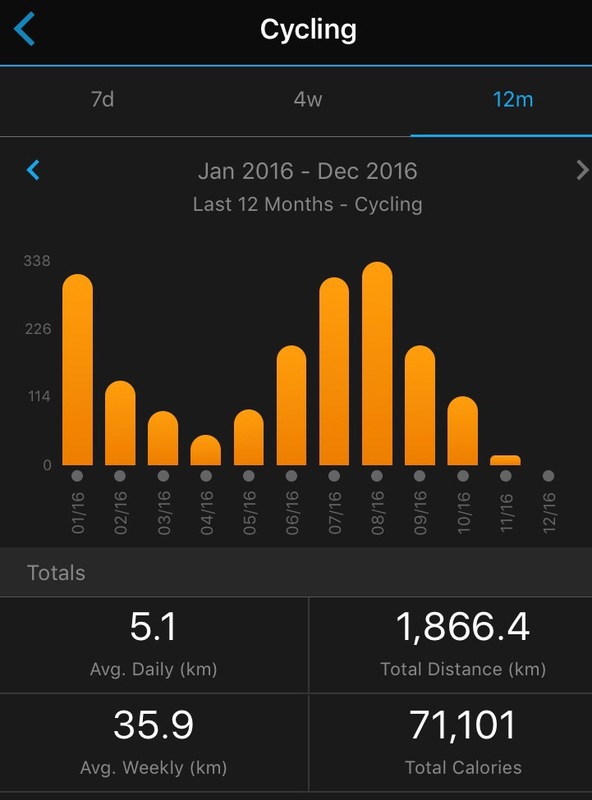 As I think I mentioned before, Jon smashed his goal parkrun goal at the end of his 8 week mesocycle. 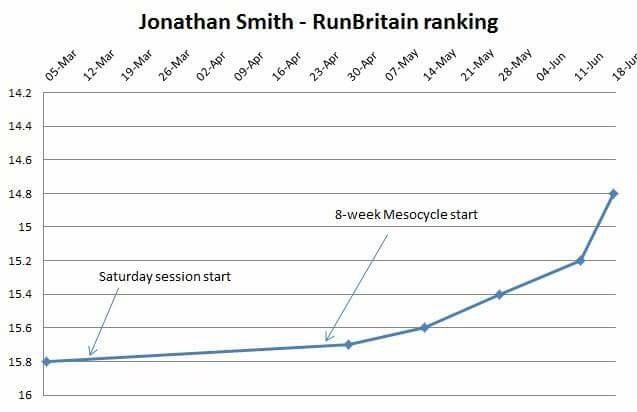 He also sent me the following graph from RunBritain showing his performance (in RunBritain Ranking) this year annotated with when he started attending the Saturday morning coached sessions and when I started coaching him for his first 8 week mesocycle. Hopefully, the benefits are clear to see. Many thanks to Jon for sharing and allowing me to use the graph above. I’m planning on taking a break from running the Saturday morning sessions in August to concentrate on family weekends away. After that, I’ll be holding structured 8-week session blocks on improving running technique (for Lordshill Road Runners for up to 10 members per block). I’ve already got most of the first block’s participants allocated which is great news. That just leaves the task of defining the session plans and then delivering them. If you’re a LRR and are interested in attending the sessions, please let me know.